One of my favorite shadows of all time is Darling Girl Cosmetics "Here's Johnny". It's a gorgeous, very sparkly purple. Whenever I wear it, I spend entirely too much time looking in the mirror with my eyes half closed admiring the beauty that it is. I never like taking it off at night! My husband also loves it, and always comments on how awesome it is when I wear it. 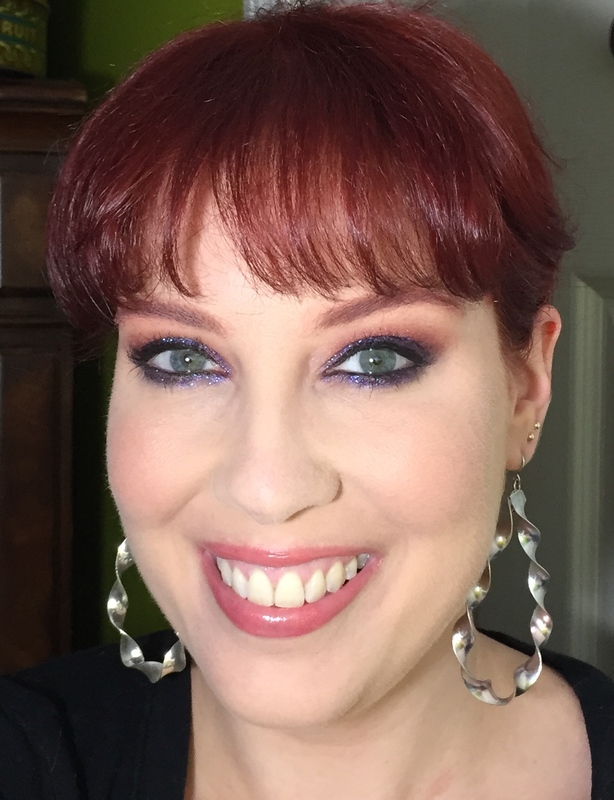 I wore this makeup for date night last week. Lips: I can't remember. Dangit. That's a nice color. 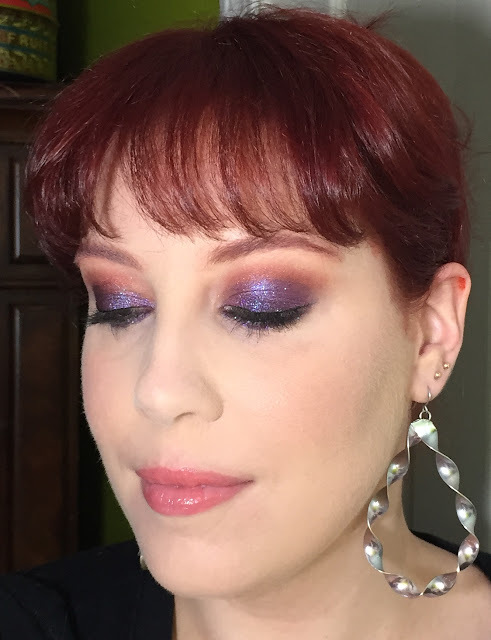 I quite like how the warm crease color contrasts with the cool-toned purple. Gah. I love it so much! 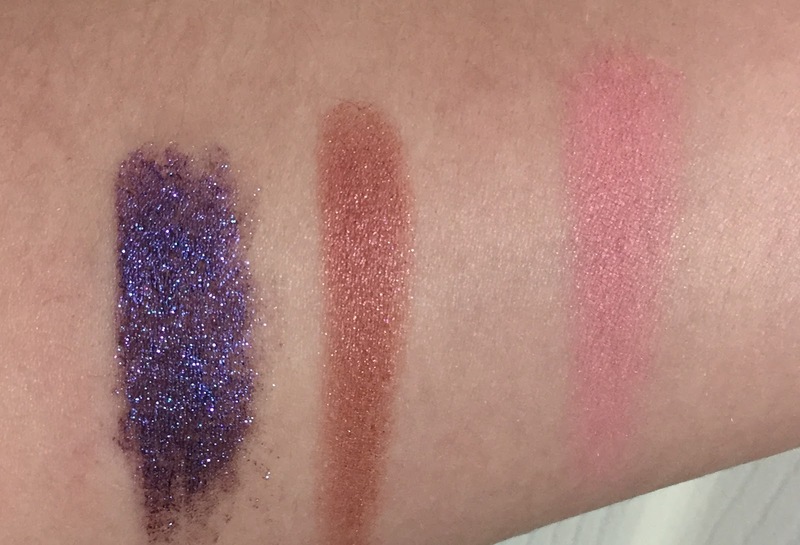 How do you feel about sparkly colorful eyeshadow? Pretty, but not your thing? Wear the heck out of it? I love scary movies. The Shining definitely fits into that category. It is creeeeepy. Thanks, Jen! I've never heard of Darling Girl Cosmetics, but wow, that's a beautiful shadow! The darker blush color is perfect for the crease. Love this look! I discovered Darling Girl by reading Phyrra's blog. Now I love window shopping on the Darling Girl website. The colors are so pretty! Gorgeous! I'm not big on color and sparkle for myself but I love it on you! 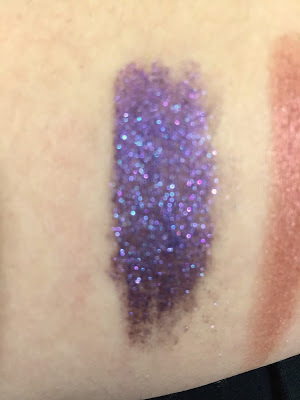 I know that sparkly purple is not everyone's cup of tea, but I'm happy that you enjoy it on other people! Thank you , Tanya! Yes, awesome earrings! The sparkly purple shadow is pretty freakin' cool! 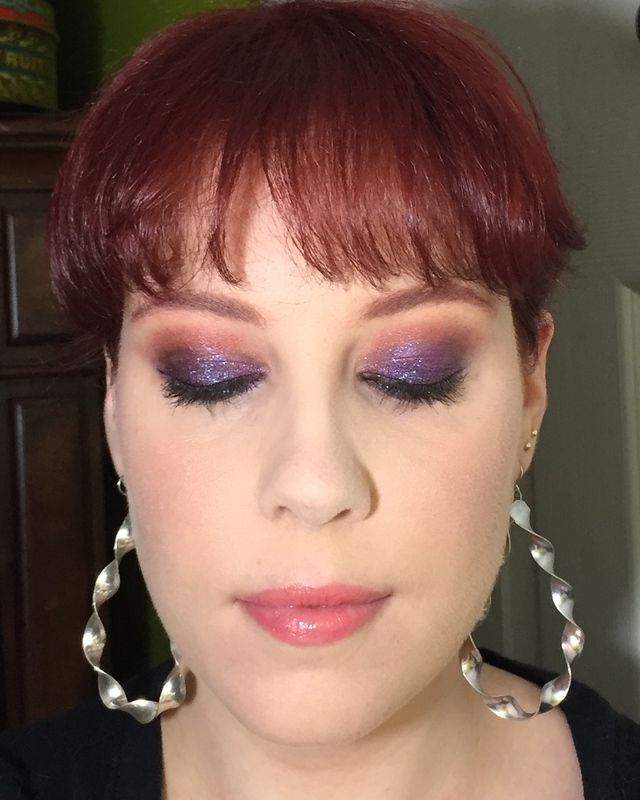 Sparkly purple eyeshadow + cool earrings = happiness. Beautiful! I think I have a sample of "Here's Johnny" in my drawer, need to dig it out. I like purple. 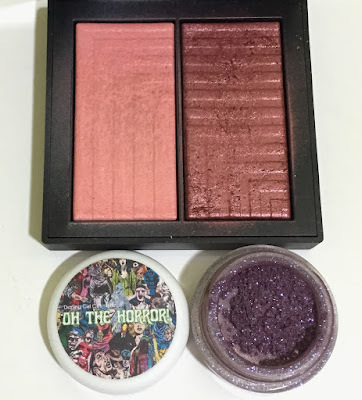 Indie companies make some of the most unique shades, don't they? So awesome.